The truth is I’m not really sure what happened, because the fact that I got into that first race was pure LUCK! 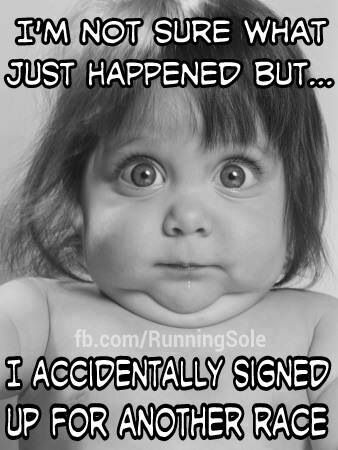 On Black Friday I got a reminder email for the Asbury Park Runapalooza Half Marathon in April, and finally signed up. I knew I wanted to run this one again – it was my first post ACL surgery half marathon last year and I loved it. They’ve finally repaired the last remaining parts of the course that were still damaged by Hurricane Sandy (plus I just really adore Asbury) so it was a given. Cut to the following week when I threw my hat into the ring for the United Airlines NYC Half Marathon (scheduled for a month earlier than Runapalooza), never expecting to get in. It was a total blind try: my first time trying to get into anything NYC related that wasn’t guaranteed, I’m not even an NYRR member, I was brutally honest about my 3 hour predicted finish time; to say the odds were against me would be an understatement. But wouldn’t you know it, the Running Gods smiled upon me, and I got in! Have you ever found yourself in a similar position? I know I’ve asked about running semi-consecutive races like that, but does anyone have any advice (aside from “don’t fall in the first race”), or other training resources for a condensed schedule? HALP! ← 2015 United Airlines NYC Half Marathon: I’M IN! You crazy girl! I’ve never done consecutive races bigger than 5k (neither of which I was actually “racing”) so I’m no help. Just take it easy, do some training, and you’ll be great! Eeek! Thanks sweetie 🙂 ill definitely only be “racing” to beat my old PR at the second race. NYC is all about the experience, thats for sure!